See how these immigrants, strivers, and doers are defining and achieving their American Dreams. Featuring Prep students Ushrat Ahmed (XXXIX), Alrick Shaw (XXXIV), and Nuha Saho (P9 XXIII). Ashley Greaves (XXVIII) graduates from Yale and Amanda Boston (XXII) works towards a PhD at Brown. 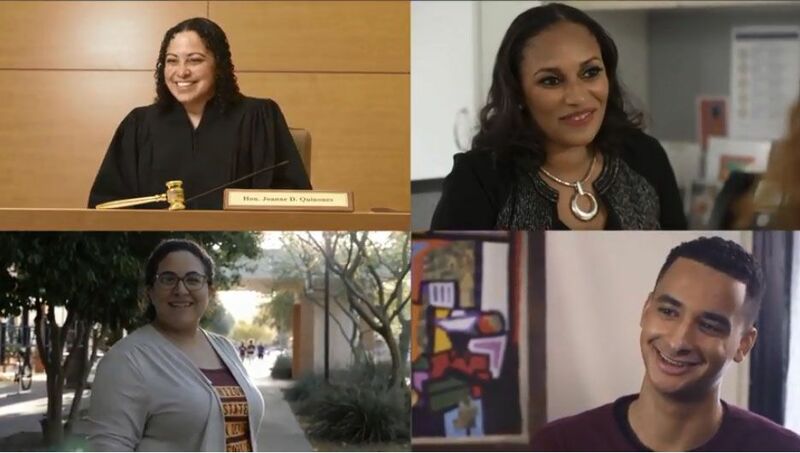 Trustees Anne & John Hall, David A. Nadler, and Fay & Bill Shutzer reflect on their combined 82 years of service on Prep's Board; with interviews and reflections by alumni Dannette Tejeda (P9 XVIII), Makonnen Payne (P9 I), and student Katiya Jones (XXXVI). Renée Chung (XVII), Ray Lopez (XI), and Ed Poteat (VI) help transform Harlem through their work in community health, education, and real estate development. Meet three entrepreneurial alumni in education, business, and medicine: Clifford Thomas (XVII), Jessica Johnson-Cope (VIII), Vicente Diaz (P9 V). Experience the advisory system through Diahann Billings-Burford (VI), Anne-Carmene Almonord (XV), and Maxine Mitchell (XXII). We highlight individuals who reflect the core values of Excellence, Integrity, Commitment, and Courage that have led to Prep's success. Prep celebrates those alumni who have chosen public service as their lives' work. The areas and means by which they are affecting change are impressive: civil rights, climate change, health care coverage, and workforce development. The featured portraits are examples of the many ways Prep is launching leaders into a changed world of technology, education, real estate, and socially responsible startups. Prep for Prep helps families achieve the American Dream. Our approach is straightforward — we help the most promising children of color in New York gain access to a superior education and life-changing opportunities. For press inquiries, please contact communications@prepforprep.org. The opinions expressed by different constituencies on this website are not necessarily those of Prep for Prep and should not be construed as endorsements of any kind. Be the Dream, compiled by Prep for Prep founder Gary Simons, shares the personal journeys of our students and alumni.